This article is part of our special report Farnborough International Airshow 2016. US aircraft maker Boeing confirmed its commitment to the UK’s aviation sector during the Farnborough Airshow. But in the long run, the uncertainty generated by the country’s exit from the European Union will be hard for business, says its Vice-President, Randy Tinseth. Randy Tinseth is vice-president of Marketing for Boeing Commercial Airplanes. 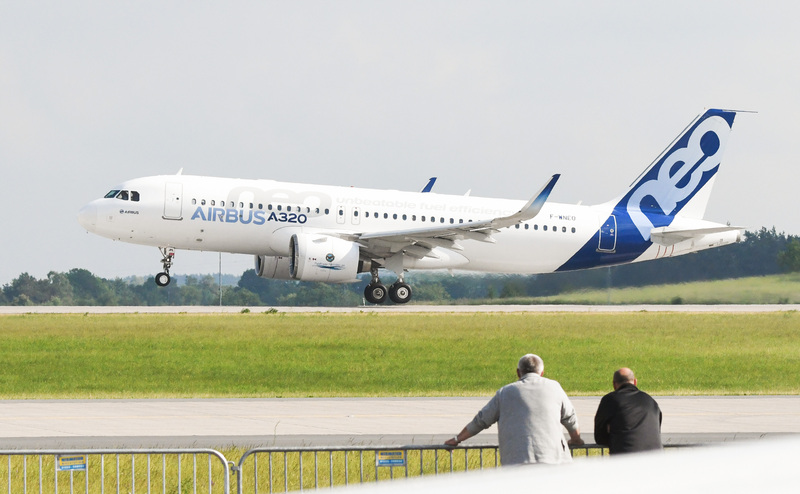 He spoke to euractiv.com’s Jorge Valero and Evan Lamos at the Farnborough Airshow. What is the state of play in the aviation sector? Over the last five or six years, we have seen a market that has been very resilient and has been growing, a market that has been very global in nature. When we look at why it has been so successful, it is because we were able to bring new airplanes on the market that are more fuel efficient, more capable with lower operating costs. We are in the process now of making the biggest round of investments we ever made as a company. All our new airplanes are more fuel efficient, they are quieter and more capable than the airplanes that they replace. Given the importance of the aviation sector for Britain’s economy, what will be the implications of Brexit? With the Brexit potentially happening, the aviation policy in the UK is in question. What does it mean? What will be the rules for us? We just don’t know that. While the ICAO perspective [new standards for aircrafts] brought certainty to the market, allowing our growing market to become more efficient and more global in nature, we are concerned about anything that gets in the way of that. Do you think that this uncertainty will be a deterrent for future investments in the UK? We have just made a significant commitment to the UK economy. We will continue to support the UK economy because it brings value to us. In the long term, when you look at the Brexit situation, we are asking ourselves what it is going to do to the EU and the UK economic growth, what it will mean to trade both at the local and global level, what it is going to do to aviation policy. We don’t know the answers to these questions. The uncertainty that we have in the market today could have an impact downwards in terms of economic growth, which would impact travel on these markets. But frankly, on a global basis, those type of changes will be small compared to what else is going on in the market. Do you agree with Cameron that the UK aviation sector will continue playing a leading role at the global level? There is uncertainty. Changes in aviation go in two ways: they could create more limited opportunities or greater ones. It depends on the governments’ directions they choose to take. Is the industry on track to meeting the goal of reaching carbon-neutral growth by 2020? I think we are taking the right steps. Whether we get there or not is yet to be determined. But frankly, good environmental policy is good business. The business aspects will drive us in the right direction. Is cheap oil good for consumers, but bad for the environment? When you look at the aviation industry, the fuel costs are still the number one expense. It is extraordinarily volatile, so it is hard for our customers to plan. We believe that, over time, supply and demand will come into balance. That means that we will see ultimately higher prices while we will continue to drive efficiency in our industry. What is the impact of cheap oil? Are air carriers investing more in new planes? We haven’t seen a change in investment. Airplane efficiency certainly has helped driving the demand for new aircraft. But I don’t think that the cheaper oil has caused a situation where they back off the demand for new aircraft. The message is ‘there is volatility out there, higher prices in the future, so why not making the investments today on something more efficient?’ It is a good hedge should things change over time. Yes, and I think it will continue. The last two years have been very good for Boeing. What is your forecast for the next couple of years in light of the current volatility? It is a highly volatile market. But we see the aviation market doubling in the next 20 years. So it is going to grow faster than 3.5% for example. There are 20,000 jet aircraft flying today. That number will be more than 40,000 in the future. 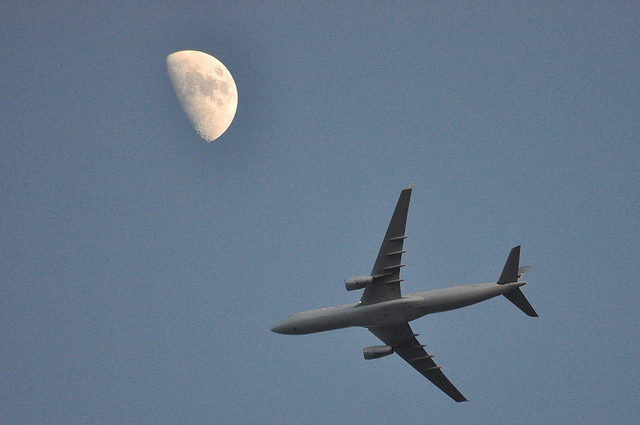 Today, 3.7 billion people travel by air. In 20 years that number will be in excess of 7.5 billion. There is a great opportunity for us as we move forward, but we have to make sure that we grow in a sustainable way so we can capture that opportunity moving forward. Where are the biggest opportunities? Recently Boeing reached an important deal with Iran. It is still about opportunities in emerging and developing economies, like China, India, South East Asia. In the longer term, it is going to be the Middle East and Latin America. That is where the great growth will be. If you look at markets like the US or Europe, most of the airplanes delivered will be for replacement. 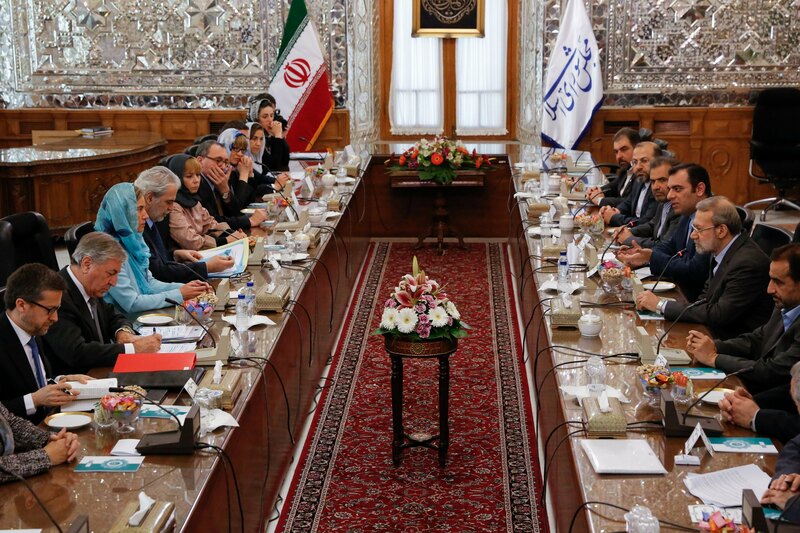 The EU and Iran will discuss a horizontal agreement on air transport in the coming months, seen as a first step to bolster cooperation that could reduce the influence of United Arab Emirates and Qatar as hubs for long-haul flights. To what extent does the political context affect your dealings with Iran? I have to put the politics behind me. What we are doing at Boeing is taking the lead of our government. We are going to follow it in terms of what we can and cannot do. From a market perspective, you have hundreds of airplanes flying in Iran every day. But they fly only a few hours per day. So there is an opportunity for that system to become much more efficient and to serve the market with fewer airplanes. That is a good thing. Iran is also a large economy with a growing middle class. It is a young population eager to fly. So there is an opportunity for us and others in the future. What about Europe? Is it still attractive, despite the political turbulence and the low growth? Economic growth will not be what we are seeing in the US or in Asia, but it should be consistent. Besides, people in Europe do travel even if economic growth is still low. We continue to see 5% growth in traffic, which is good for our industry. You said that there should be improvements when it comes to air traffic management. Was that a veiled criticism against the EU’s failed attempts with its Single Sky proposal? It is a criticism on how Europe manages its air traffic system, but it could be the US. Tomorrow, if we have a new air management system, any airplane could fly being 10% more fuel efficient. That is important. The technology is there, the investment can be made, but unfortunately the investment has not been made. Is this also due to a lack of political will to progress on Single Sky? Yes. Well, I understand it. It is a challenge. But if we have a common EU, we would like to see a common air traffic management system over the European skies. How would Brexit affect this goal? Whether the UK is part of the EU or not, I don’t think it changes the fundamental political situation. I an not an expert to that level, but I think that was one of many different discussions they have between the EU countries. 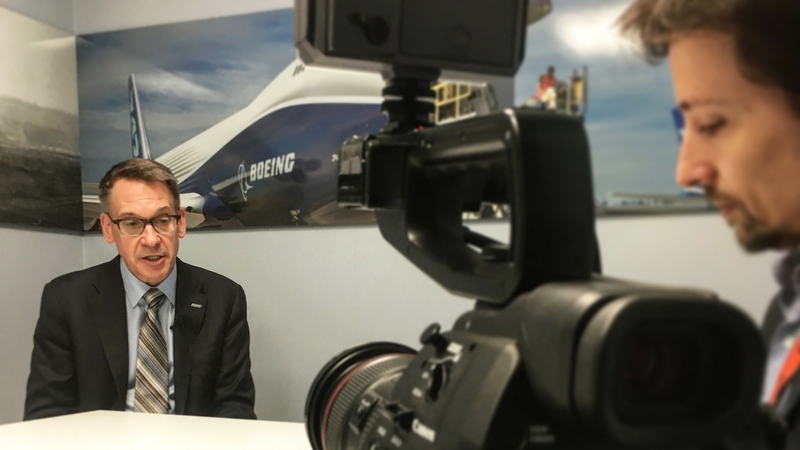 What is the biggest challenge for Boeing in the next five years? It is going to be about delivering airplanes, and making sure development programs progress well. Frankly, we are going to have challenges around costs, as we will have to become more competitive. When we look at the global market, we have to ask ourselves ultimately how we are going to grow in a sustainable way. Since aviation is such a global industry, are you concerned about a potential President Trump? Aviation is a global industry. What it means is that we need global solutions. That is why working through organisations like ICAO [a UN body] makes sense to us. That is the path we have to continue on. Would Donald Trump be the kind of leader that looks for global solutions? I am not going to make an answer on political candidates. But again, it is really about global solutions as we move forward, because the last time I saw aviation goes beyond borders, so we have to make sure that we recognise that. For the moment the Beavis and Nuthead Governement don’t care on it ..they are blindly shrinked and still focusses on Deals for Exits ! After Brexit takes effect, there will be no tariff barriers and individuals will continue to have access to each other work markets. Anything else would be suicidal. After all, the EU complete failure to harmonise taxation shows that a single market works with different rules within.